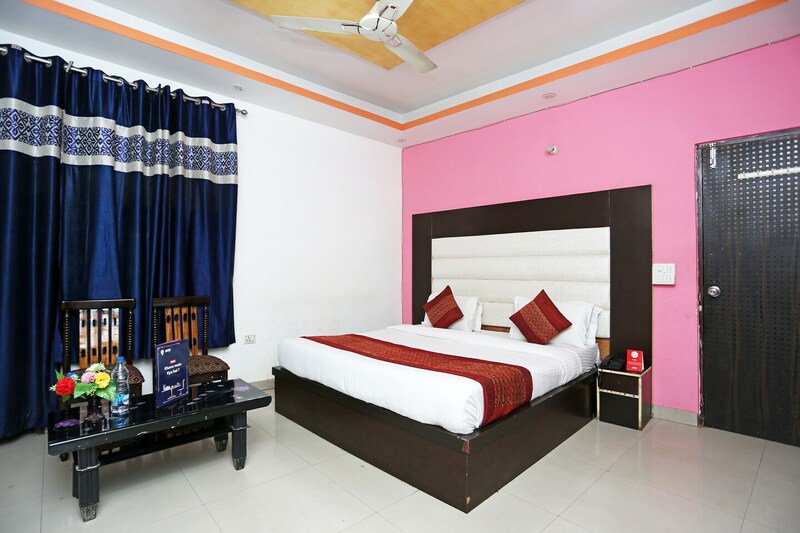 Hotel R D Plaza, located in Badam Singh market, Rangpuri, Delhi, is a comfortable and beautiful hotel. It is situated close to the Indira Gandhi International Airport, making it a great choice for travelers. The property is located close to a few popular tourist attractions like Rose Garden, Aerocity, Aravalli Biodiversity Park and Pawar garden. The hotel provides a kitchen for guests to prepare a quick meal. A seating area is also provided for guests to meet and chat. The hotel provides amenities like free Wi-Fi, AC, TV, power backup and CCTV cameras. The prime location of the hotel ensures close proximity to a few restaurants like Dhaba Cash 'N' Curry Kitchen, The Orb - Radisson Blu Plaza Delhi Airport, R The Lounge - Radisson Blu Plaza Delhi Airport, The Great Kabab Factory - Radisson Blu Plaza Delhi Airport and NYC - Radisson Blu Plaza Delhi Airport.